This is Long Crichel’s classic country bread. Made with a mix of wholemeal, a third less sourdough than usual and a longer time in the proof. 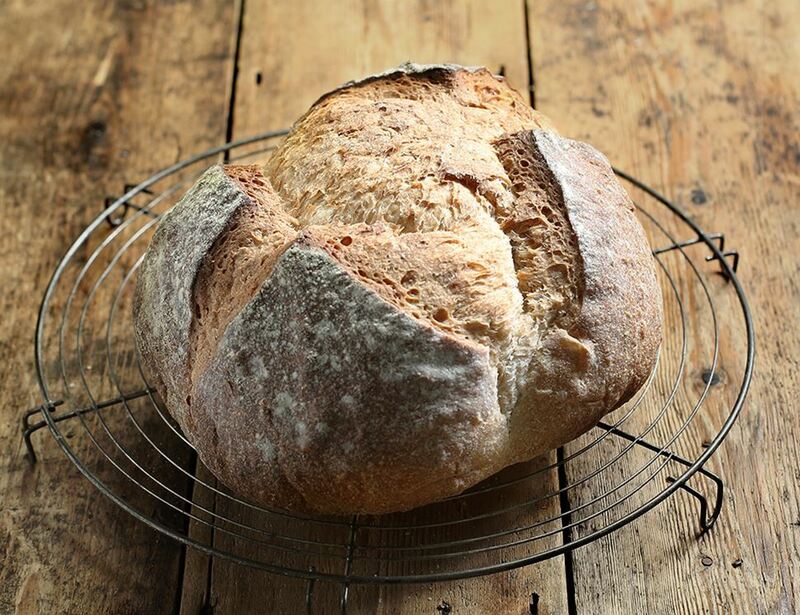 This results in this delicious, rustic bread, excellent for morning toast. White wheat flour* (fortified with; calcium carbonate, iron, niacin, thiamin), water, wholemeal wheat flour*, salt. May contain traces of nuts, sesame seeds, egg and milk. Store in a cool, dry, dark place out of natural sunlight. Don't store in the fridge.